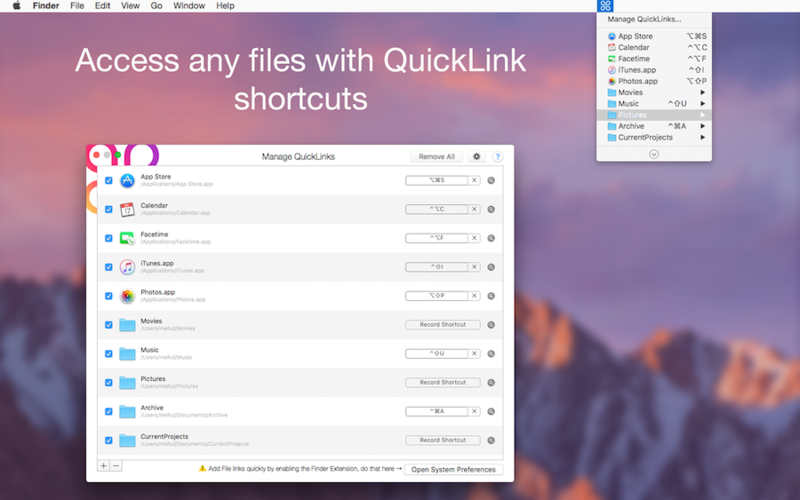 QuickLink is the app for keyboard custom shortcut creator. 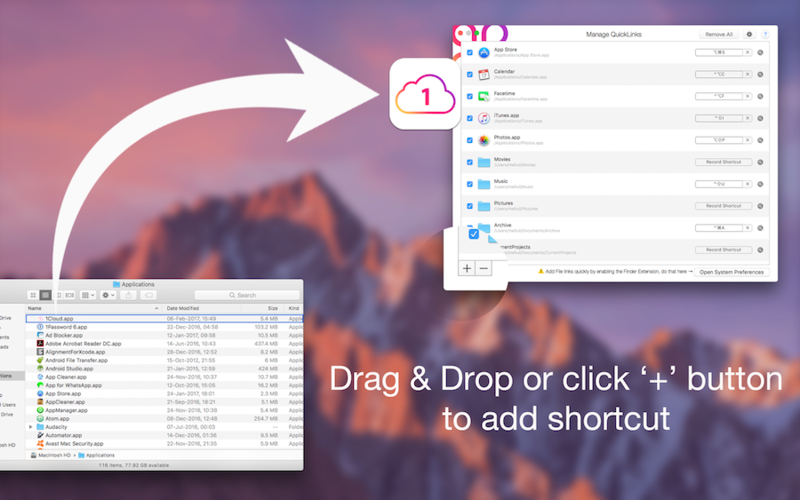 Can create a shortcut for any favourite or regularly used file, folder, document, app etc. Initially select file to create a shortcut for easy access. Status bar icon provides quick access to the list of shortcuts created. Click on “QuickLink” menu in system menu bar will display a menu full of your favourite applications, folder, files. Just use Command+number(1,2,3,4…), you can open the applications, folder, files immediately.